It’s been a busy summer for Coach Ryan. And as the summer winds down, I’d love to catch y’all up with what I’ve been up to. And yes, you’re right, I don’t have anything deep to share and coach you on today. So let's catch up! I have totally re-launched my coaching business. Team Ryan Coaching is no more. 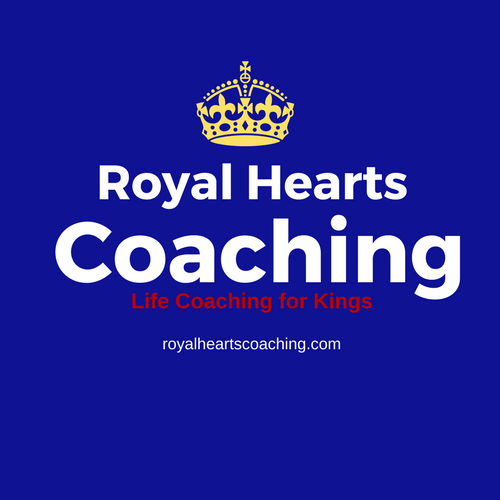 Long life Royal Hearts Coaching: Life Coaching for Kings. If you’re a king or have a royal heart, please go check out my new website: royalheartscoaching.com. You’ll find information about my new vision and how we can support you in that vision. Magic Time: The Podcast: we’ve just uploaded episode 2. Our guest is Michelle Akin. She’s a very dear friend of mine. She’s my original coach and has become a real mentor since I became a coach. It’s an incredible conversation. It’s deep, intimate, and a ton of fun. Emily and I have huge plans for this show and we’re excited to share with you the beginnings of a real empire. o Listen, subscribe, and review! Just to pat myself on the back, I have re-doubled my efforts in healthy eating and it’s paying off. Your humble coach is down about 6 pounds in the last couple weeks. I feel incredible and I’m in the best shape of my life at 40. And finally, following my first love, I am neck deep in a new novel. Working title is Hello Again, and all I’m going to say is that it’s a love letter to the healing power of music. You’ll see it soon…just not REAL soon. #gnomesayin’? And that’s just for starters. This fall is going to be crazy. I’m planning a trip back to Alabama this fall (with a special someone.) I’m exploring my new home every day. And I’m just scratching the surface. So there you have it. It’s been a crazy summer and we’re just warming up!